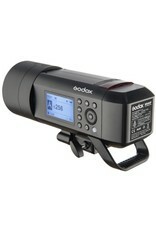 The Godox Witstro AD400 Pro is a portable flash head with built-in 2.4GHz Wireless X system. 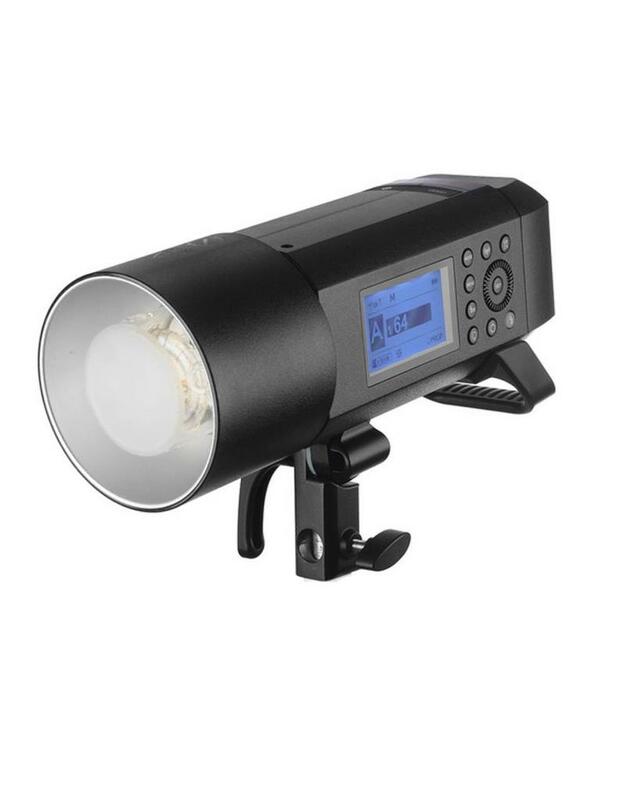 This versatile flash head is compatible with most TTL flash systems, including Canon E-TTL II, Nikon i-TTL, Sony and Panasonic. 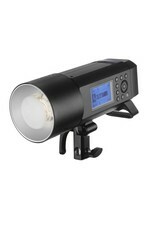 The flash has a flash output of 400W / s with a brightness adjustable in 9 steps, from 1/256 to 1/1. Thanks to the powerful 21.6V lithium-ion battery with a capacity of 2600mAh you can flash up to 390 times at full power. Ideal for outdoor photography and shoots on location. 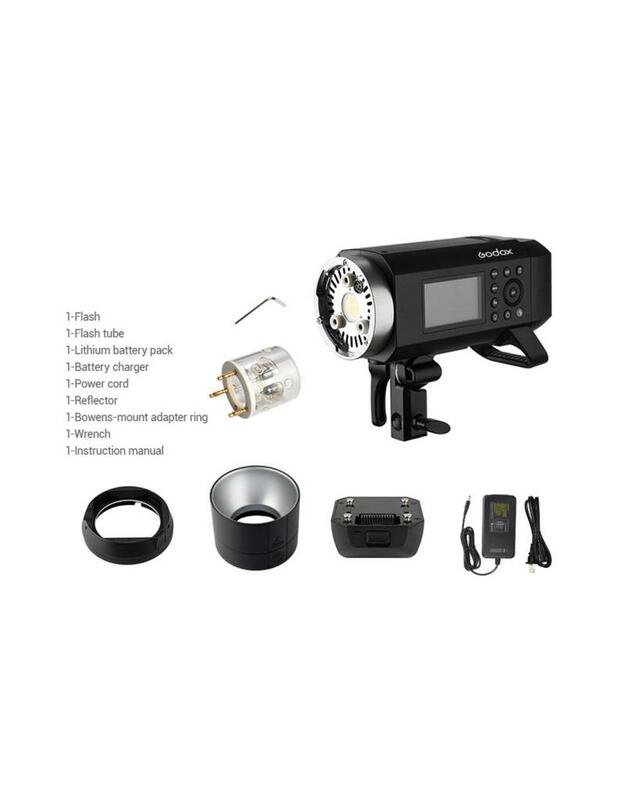 In addition, the flash can be used on mains power if you want to work in the studio or indoors. The Godox AD400 Pro features a High Speed Sync mode that works with shutter speeds of up to 1/8000s and flash durations from 1/240 to 1/12.820 seconds. All settings are easy to read on the Dot-matrix LCD display. Another unique setting is the stable color temperature mode. 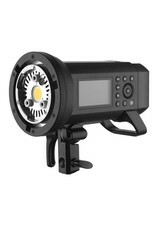 It monitors color temperature changes and keeps them within +/- 75K over the entire power range. 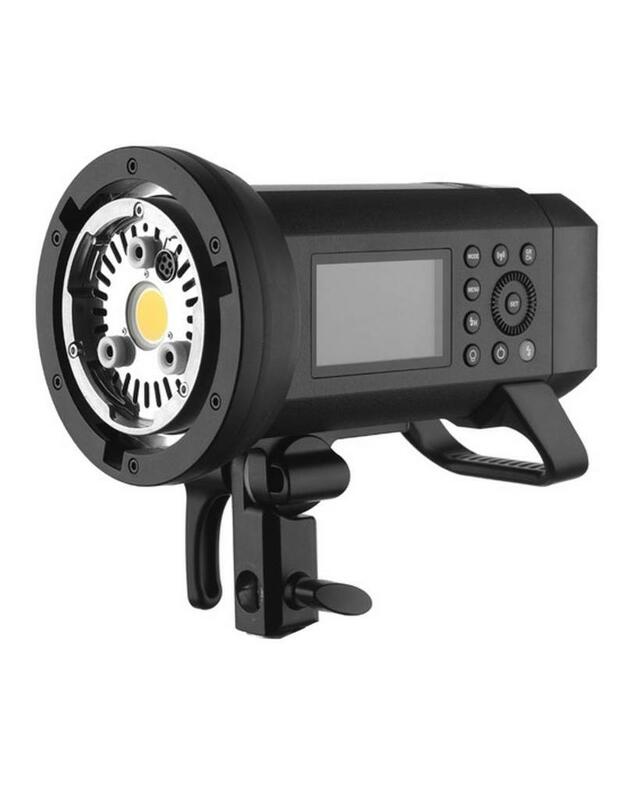 The flash has a standard color temperature of 5600K. 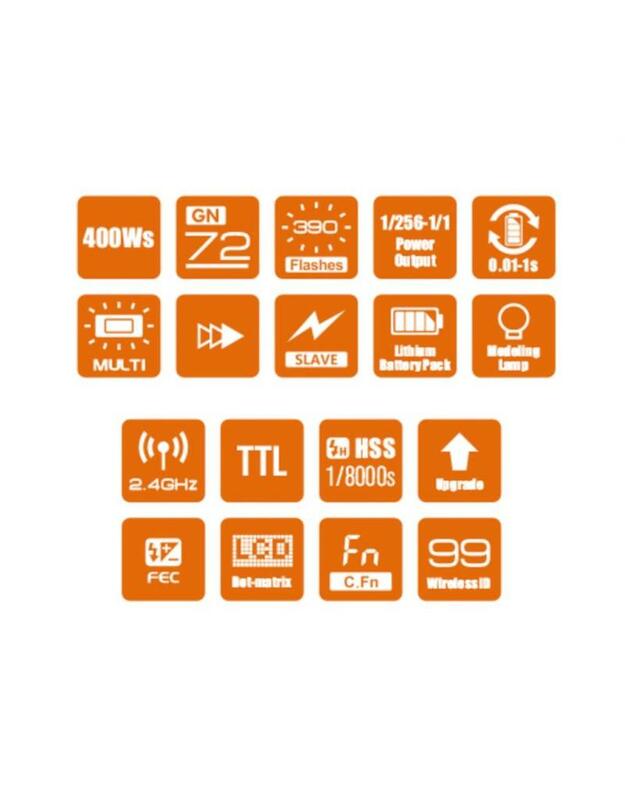 The 2.4GHz Wireless X system has a range of approximately 100 meters and has five slave groups and 32 channels. 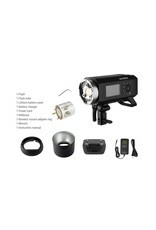 In addition, the flash can be used as an optical slave in the S1 and S2 modes. Despite the unique properties, the Godox A400 Pro manages to keep the recycling times low at 0.01-0.9 seconds, for fast and reliable use. 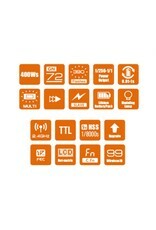 At 1/16 power the flash is capable of producing no less than 12 flashes per second. The 30 Watt setting lamp makes it easy to determine the composition. 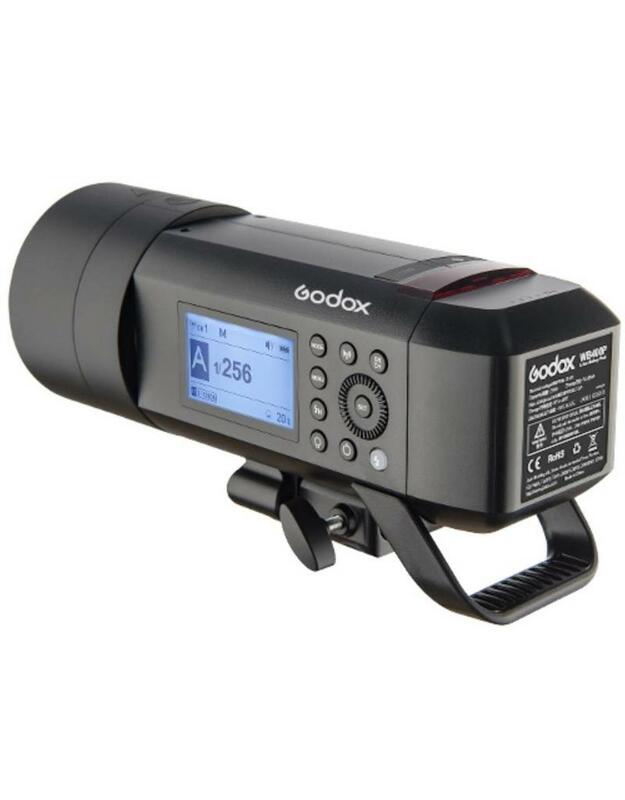 The Godox AD400 Pro comes standard with a Bowens type mount. Optionally, you can equip it with an Elinchrom adapter, with which you can increase the palette of light shapers to be combined.